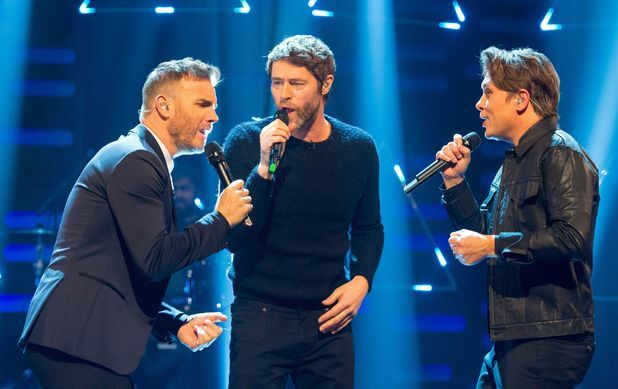 Take That have scored their first number one single as a three-piece band with ‘These Days’. 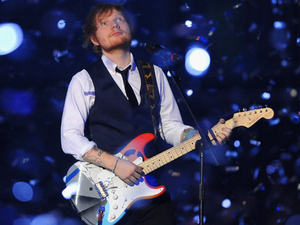 The track, which precedes the group’s seventh studio album III, overtook midweek leaders Band Aid 30 to win the top spot by just 2,500 copies. 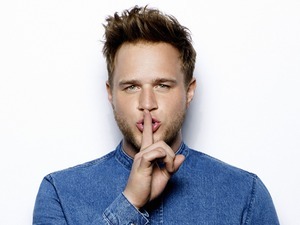 It is Take That’s 12th number one single and their first since 2008’s ‘Greatest Day’. 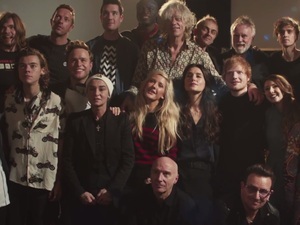 The star-studded Band Aid 30 group slip one spot to number two with their updated version of ‘Do They Know It’s Christmas?’, while Olly Murs and Travie McCoy hold on to the number three spot with ‘Wrapped Up’. 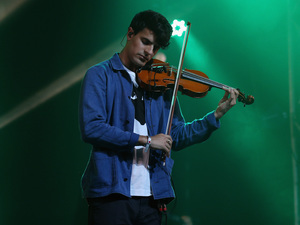 Ed Sheeran also holds firm at number four with ‘Thinking Out Loud’ while Clean Bandit’s ‘Real Love’ rounds out the top five after dropping three places from number two. The only new entry in the Top 10 this week is Labrinth’s ‘Jealous’, which debuts at number 7 and wins the singer and producer his fifth Top 10 single. McBusted hit number 12 with their first single as a combined group, ‘Air Guitar’, before their self-titled album is released tomorrow (December 1). Jennifer Lawrence scores her first ever UK Top 40 single with her rendition of ‘The Hanging Tree’. The song, taken from The Hunger Games: Mockingjay – Part 1 soundtrack, is at number 14. BRITs Critics’ Choice 2015 nominee James Bay is another new entry at number 18 with ‘Hold Back The River’, while fellow shortlisted act Years & Years debut at number 22 with ‘Desire’. David Guetta and Emeli Sandé’s ‘What I Did For Love’ debuts at number 24, while Kiesza’s ‘No Enemiesz’ enters the charts at number 30. The final new entry in the chart is Beyonce’s ‘7/11’, which is at number 36.